Chic geometry! 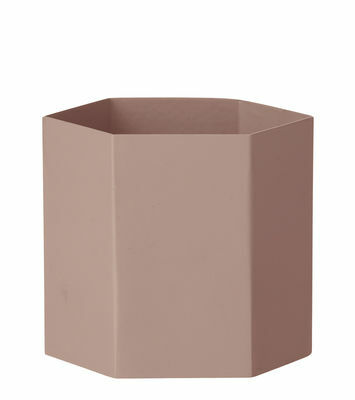 This hexagonal flowerpot is made from lacquered metal, with a very elegant matt finish. The inside is treated against rust. You can use it as a flowerpot, pencil holder or to hold jewellery, sweets, etc. 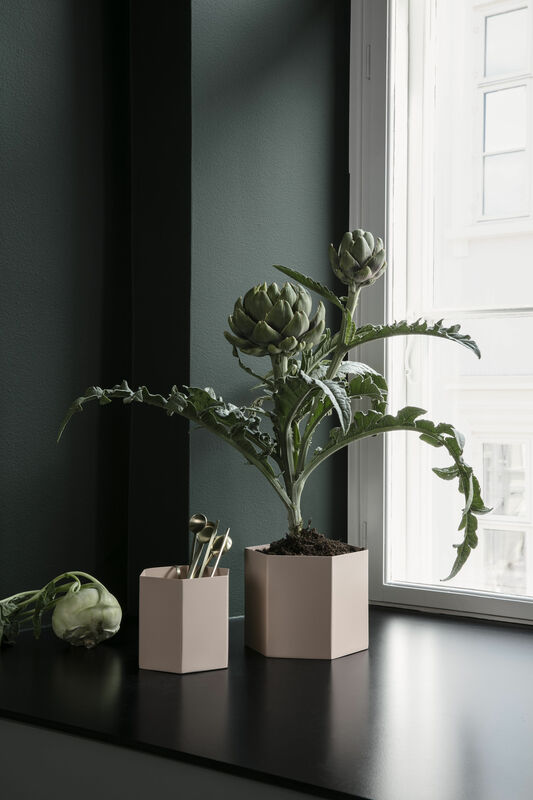 This pot is adapted to the Ferm Living Plant Stand Small, sold separately (simply place your flowerpot inside the metal stand).